The best days of your life are yet to happen! 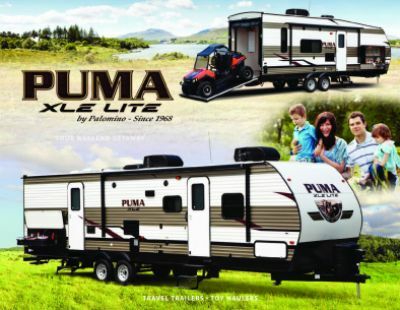 Every summer is amazing with the 2020 Palomino Puma XLE 24BHC! It's a great Travel Trailer for traveling families, and it's available now at All Seasons RV! As one of the largest RV dealers in the Midwest, you'll find a wide array of the nation's top brands! You can browse through our massive RV inventory on our site, or see them all for yourself on our lot at 4701 Airline Rd Muskegon Michigan 49444! Even if you don't live near Muskegon, MI, you can still enjoy the use of our 24/7 nationwide delivery service! To talk to our Puma XLE expert, just give us a call at 231-739-5269! We'll get you in the RV of your dreams in no time at all! Lounge outside without getting a nasty sunburn under the shade of the 17' 0" awning! This Travel Trailer has a hitch weight of 530 lbs. and a GVWR of 7000 lbs. When the campfire snacks and fast food get old, switch things up with a healthy, hearty meal! 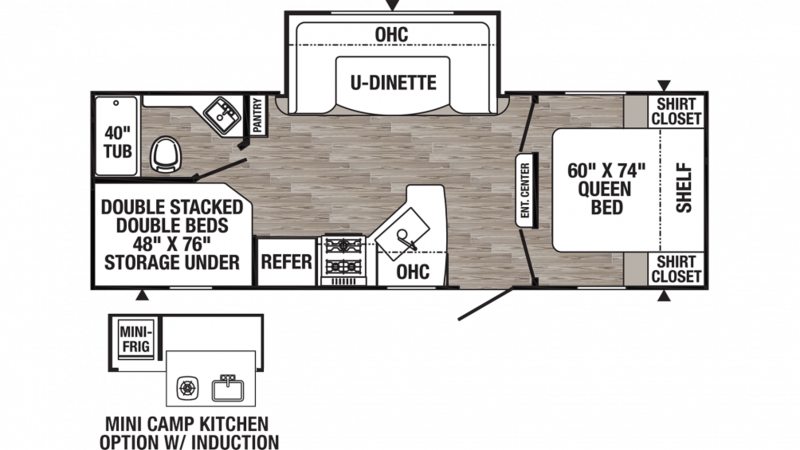 The kitchen has all the amenities you need to cook up a delicious dinner on the road, including a 6.00 cu. ft. refrigerator, 3 burner range cooktop, and more! Plus with the 51 gallon freshwater tank, you won't even need to worry about running out of water on your trip! To enjoy a full day of outdoor fun on the road you need a good night's sleep! The super nice bunkhouse features extra comfortable Bunkbeds! kids or guests will settle in and snooze cozy and secure, and start every day energized and refreshed!